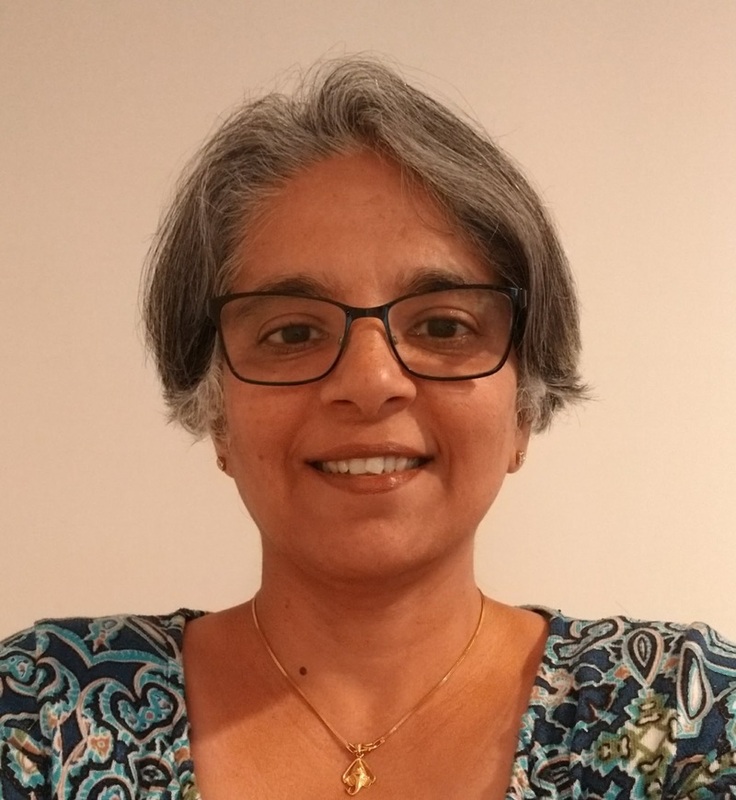 Vidya Pradhan is a freelance writer and editor based in California. She loves the intricacies of language and is learning Spanish to better teach English to native Spanish speakers. She has written several children's books and is currently writing and editing a memoir for a prominent businessperson. In her spare time she hikes and plays Scrabble. Vidya wrote Lazy Mama for Pratham Books, a brand new STEM picture book about virtual reality. Science Fiction has always been my favorite genre of books, even if I sometimes understand only half of what is being written! Dragons and fairies are all right, but what is magical about the belief of human imagination that we will touch the stars, colonize moons, and make first contact with new forms of life is that these visions often come true! Whether it is reading Jules Verne, whose inventions about undersea travel and space exploration were realized nearly 200 years after he was born, or H.G. Wells, who dreamed of time travel, I have always been excited about the possibilities of technology to take our species boldly where no one has gone before. So when Pratham Books offered me the opportunity to write about Virtual Reality (VR), I jumped at the chance, because VR is another of those ideas which was first speculated about eight decades ago and is feasible now. But how would I write about VR in a way that was easy for kids to understand? It helped that I do not have a technical background and had to educate myself about the science behind it. Every bit of information I found only increased my awe of this marvelous technology and its applications. When writing the story, I was Soni, imagining myself swimming with the turtles while comfortably air-breathing in my study. I was Amish, exploring tiger-infesting jungles from the safety of my suburban home. I was lazy mama, unwilling to put myself through the discomfort of physical travel when I could be having those adventures sipping chai on my sofa. All it takes is a little spark to get a child's interest in science ignited. And unlike my childhood, where I had to wait till I was a fluent reader before I could access the world of science and science fiction, today we have picture books that do a terrific job of creating that foundation of curiosity and wonder very early. 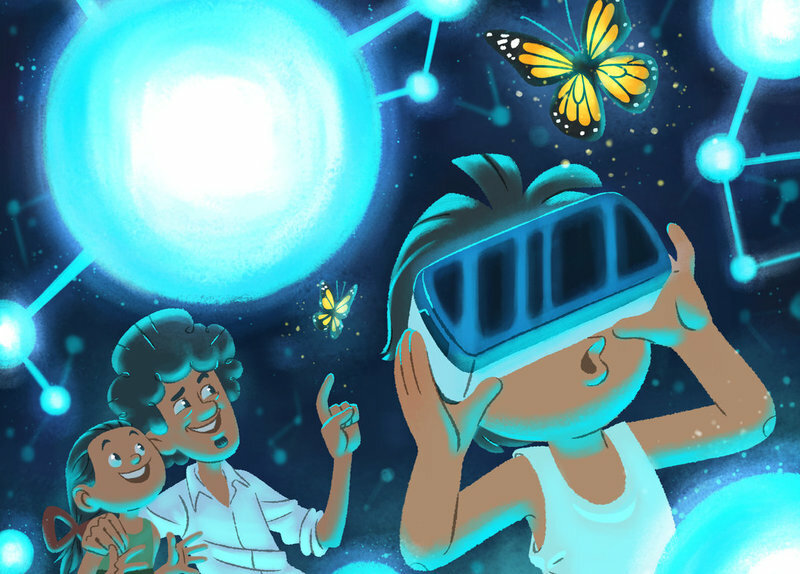 Rohit Kelkar's delightful art in Lazy Mama transports children to the fascinating world of Virtual Reality in a way that my words can only inadequately express. Thanks to Pratham Book's STEM series, there will be a generation of kids in India, from all walks of life, who will get to experience the magic and wonder of science at a very young age. Who knows, maybe one of them will set foot on Mars not many years from now! Wishing everyone many real and virtual adventures in science. Children at Edukul, Goa take off! 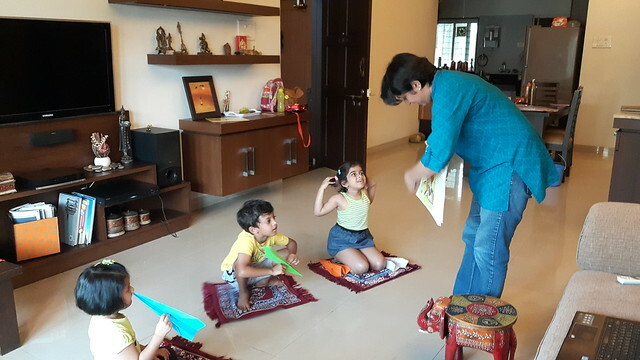 During Pratham Books’ Storyweaver’s #WonderWhyWeek in celebration of National Science Week, at Edukul we conducted three story telling sessions with Rukma Sadekar. The story was from the Pratham Book ‘How do aeroplanes fly?’ written by Aditi Sarawagi. Flying is a topic that excites both, the young and the old. The children loved the character of Sarla. The story session was followed by an open discussion on the different parts of an aircraft, the importance of seat belts, role of air hostesses, emergency exits, the duties of the pilot, co-pilot, and radio engineer were discussed. Post this, the children were guided to make paper aeroplanes and fly them to see whose flew the farthest. The children tried different ways of launching the aeroplanes and observed and discussed the how and why of flying. They watched a short video showing the early attempts at inventing aeroplanes, the Wright Brothers and their aircraft. This was followed by a short video that showed how aeroplanes fly providing an audio-visual experience of what they had heard in the story. The children were fascinated with the PowerPoint presentation on the different types of aircrafts – the largest passenger aircraft, the fastest, the different types of aeroplanes as per usage such as fighter planes, cargo planes and so on. Children found the session informative and fascinating and were most excited while flying their aeroplanes!